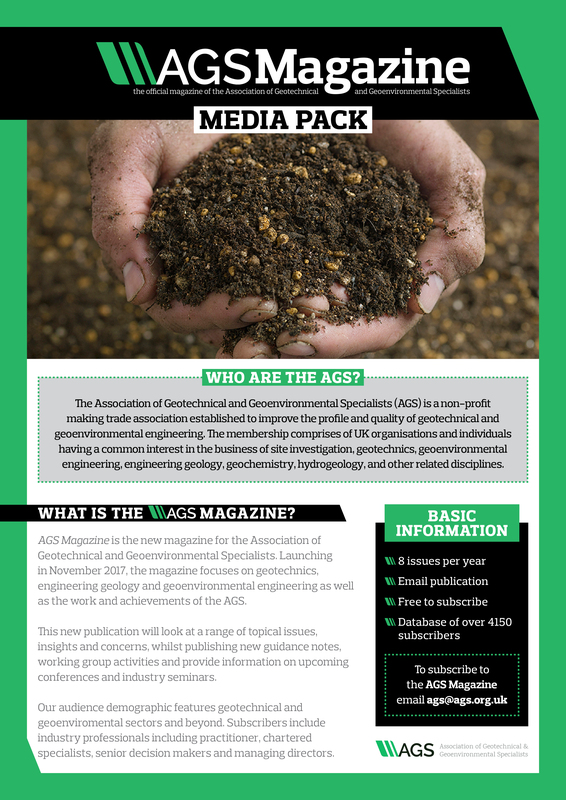 The Association of Geotechnical and Geoenvironmental Specialists are pleased to announce the launch of their new bi-monthly publication; AGS Magazine. Launching in November 2017, the magazine will focus on geotechnics, engineering geology and geoenvironmental engineering as well as the work and achievements of the AGS. The publication will also look at a range of topical issues, insights and concerns, whilst publishing new guidance notes, working group activities and provide information on upcoming conferences and industry seminars. With over 4,150 subscribers, the audience demographic includes industry professionals including practitioners, chartered specialists, senior decision makers and managing directors.